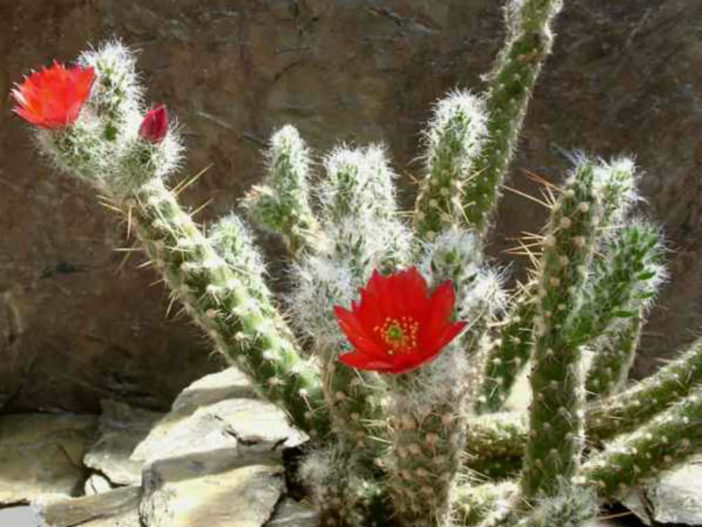 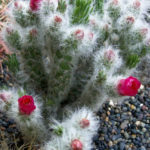 Austrocylindropuntia vestita is a slender columnar cactus, up to 25 inches (60 cm) tall. 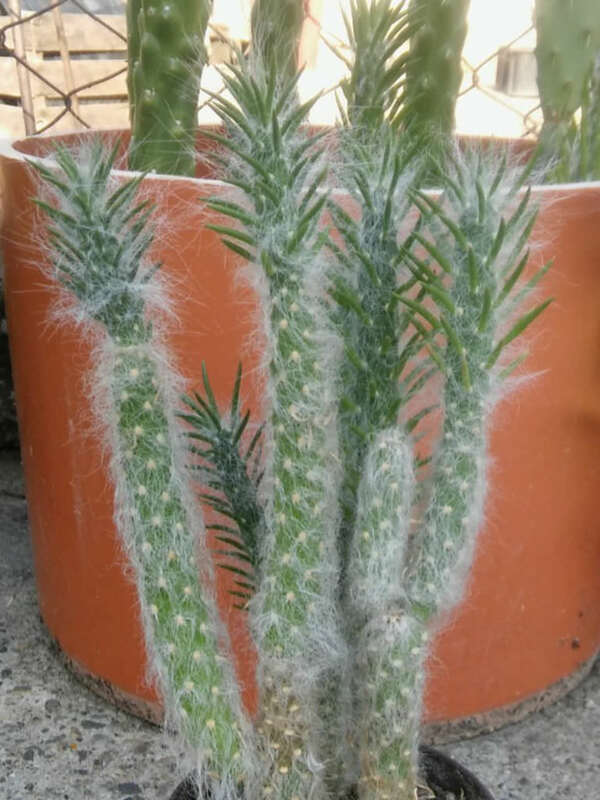 The stem is cylindrical, up to 1.2 inches (3 cm) in diameter, covered densely with long white hairs, branched basally and near the top. 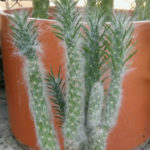 It has thin leaves and few white, thin, up to 0.4 inch (1 cm) long spines. 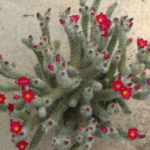 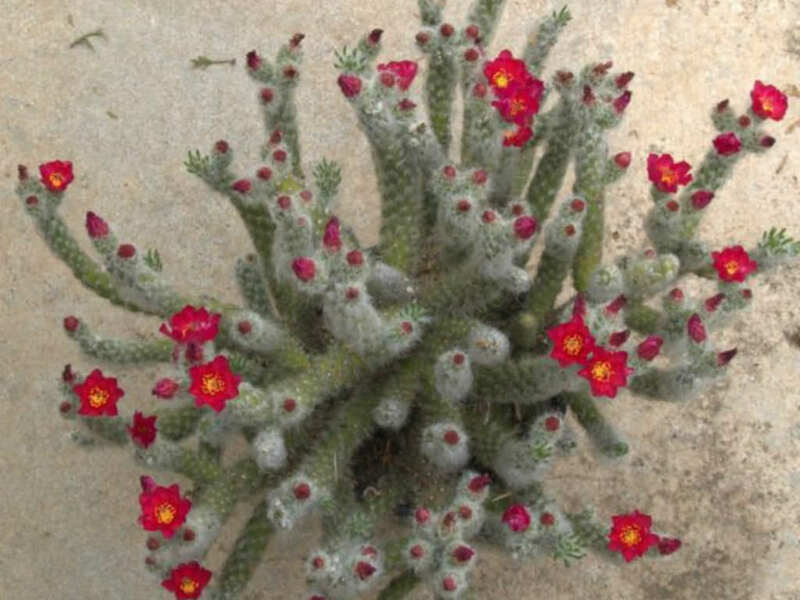 The flowers are develop at the top of the stem, deep red or violet in color and up to 1 inch (2.5 cm) in diameter. 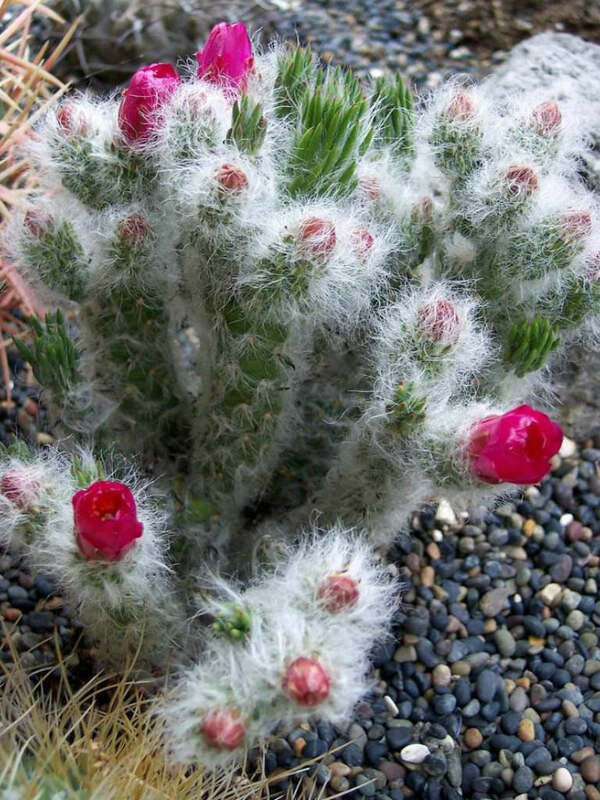 Native to Bolivia and northern Argentina.